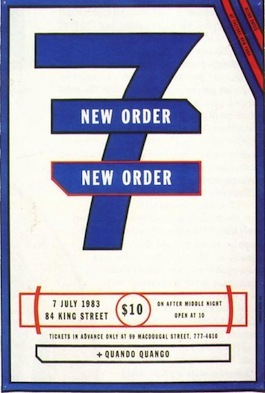 Notes: This is a poster for the 1983 NEW ORDER Paradise Garage show in NYC. Red, white, blue & black. 20" x 30". The (b&w) tickets for this show have matching graphics.